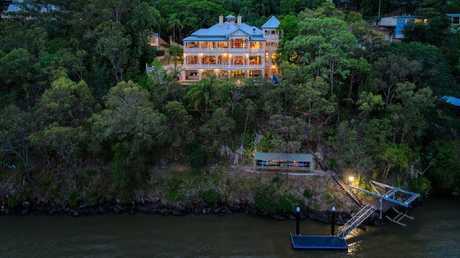 The owners of one of Brisbane's most extravagant riverside homes, which has been dubbed The Great Gatsby Mansion, are seeking $11 million for the estate. 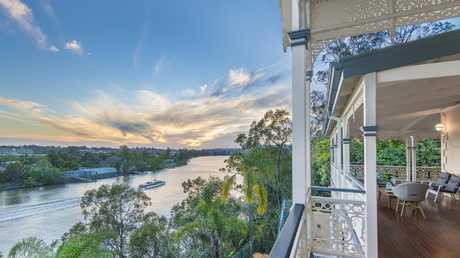 The asking price was revealed after it was listed with a new real estate agent, Emil Juresic of NGU Real Estate Toowong. Previously, the iconic 3923sq m estate, which was built on the site of General Douglas MacArthur's home during the Pacific campaign, was put out to tender, with that closing in December. 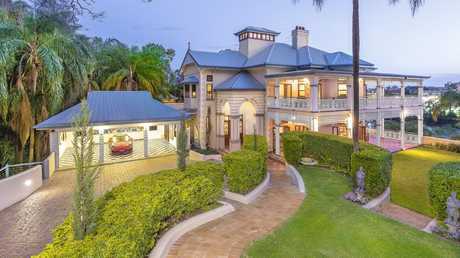 The Victorian-style mansion is one of the city's landmark homes and is owned by doctors Chris and Tania Bradshaw. 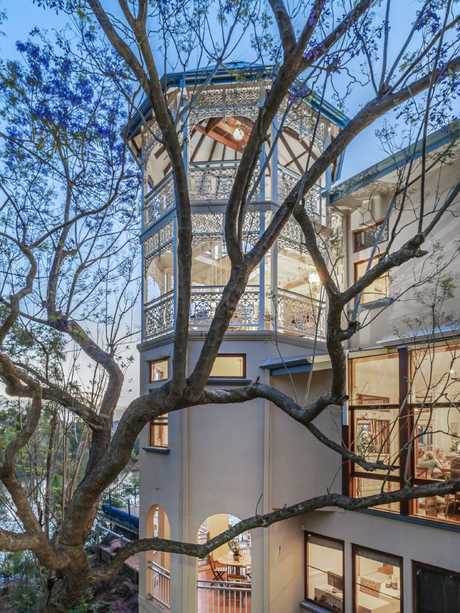 It was, despite its character features, built just 23 years ago, and has seven bedrooms, two studies, four bathrooms, room for five cars, a pool and a five storey-high turret and dome which opens up for stargazing. The estate also has 60m of river frontage, with the opportunity to purchase another 30m of riverfront land currently owned by the State Government. 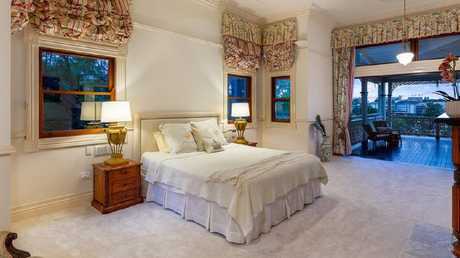 It has seven bedrooms, one for each day of the week. Other features include a pontoon to accommodate a vessel in excess of 60m, chairlift access from the lower level to ground level, provision for a 2000-bottle wine cellar, four separate decks, three fireplaces, an electronic boat lift, a boathouse, two workshops and a gym/man cave. 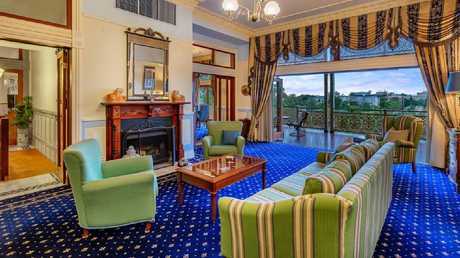 There is also two separate fully self-contained guest quarters. 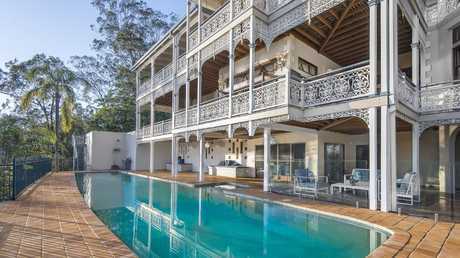 Mr Juresic, who listed the mansion last night, said there was nothing like it on the market in Brisbane. 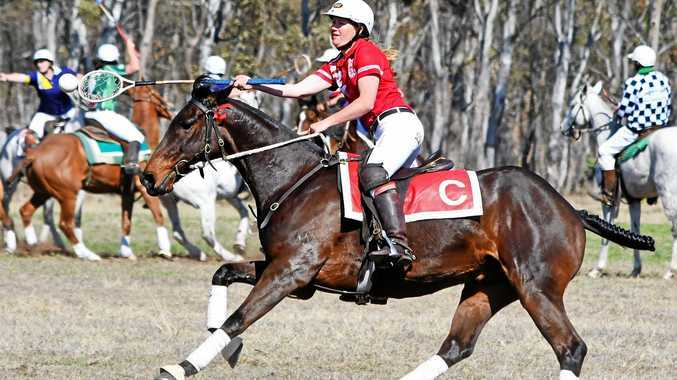 "It is on the river, close to the city and on a block of land that is just under 4000 sqm," he said. "The house is massive and full of character. When I first walked in to it the first thing that came to mind was the Great Gatsby Mansion." Mr Juresic said that while there were houses on the market in the same price range, even in Brisbane, most were modern-style builds. 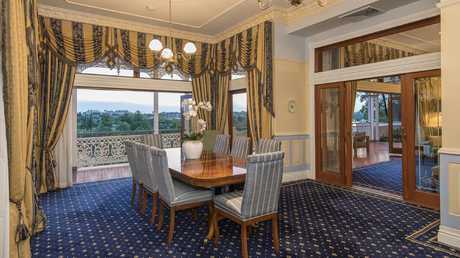 He said houses like 50 Dauphin Terrace in Sydney could go for "30,40, $50 million". "It only went up last night and we have already locked in some private inspections," Mr Juresic said. "I am confident it will be sold. This is a trophy home."